Dissolve the agar-agar in a tablespoon of soy milk. Boil the rest of the soy milk together with 3 tablespoons of sugar (if you want it sweeter you can add 4 tablespoons of sugar) and vanilla (collected from inside the stick). Cook for 3 minutes then add the agar-agar and continue cooking for another 2 minutes. Set aside and allow to cool a little bit. 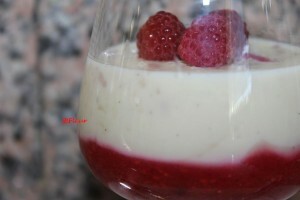 Separately blend the raspberries and a tablespoon of sugar, until you get a sauce. 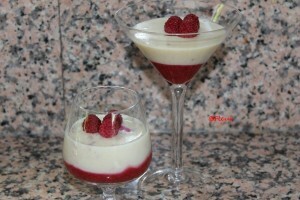 Add the sauce in a form (glass, cup) and pour the panna cotta gently over the sauce. Allow to cool in the refrigerator for at least an hour. 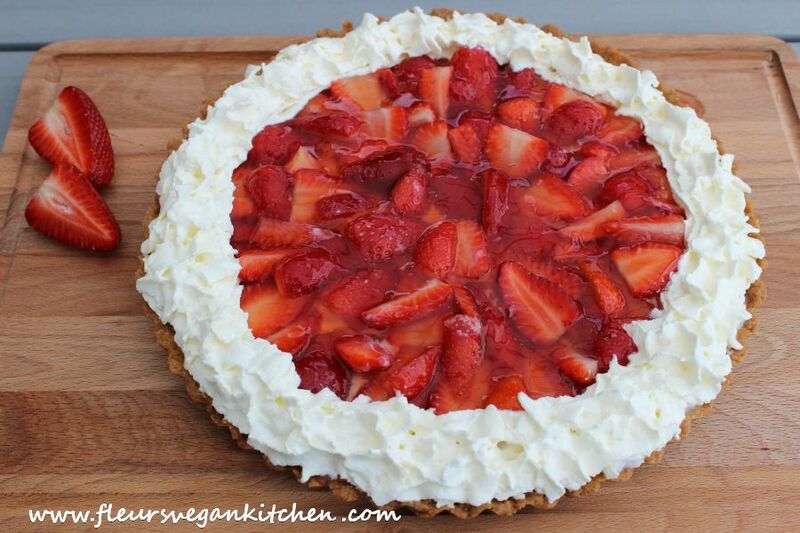 Variation: Instead of raspberries you can use other fruits: strawberries, blueberries, etc. 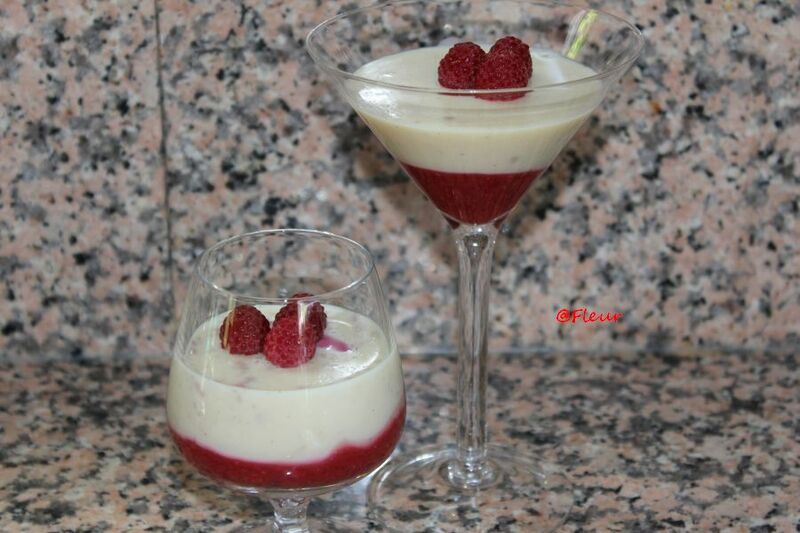 A simple dessert, delicious and rich in protein, vitamins and minerals. Creat de: fleur laTuesday September 17th, 2013.la08:18 AM.